Internet. Interactive. The two were destined to collide. The term “internet” came to be because it connected networks. The prefix “Inter” means “between.” It follows that “interactive” means “action between.” Or something like that. The point is we were destined to interact online. We live for interaction and the Internet lives to give it to us. The real measure of any form of marketing is action. In older and traditional channels, the actions we measured tended to include phone calls, faxes, coupon redemptions, sales meetings, and maybe sales. Remember “tip in” cards in trade magazines? Today, with content marketing ruling the online space, marketers often measure more actions, and certainly, less meaningful ones: shares, clicks, even views. This is not to say content marketers don’t measure the more substantial actions. The good ones do. The good ones also realize engagement is all-important. Building brand affinity leads to building the relationship that leads to building trust that leads to building sales that leads to building business. Got all that? Enter interactive content. On the battlefield that is content marketing, reading, watching, listening to, or downloading something may be the equivalent to firing a shot, but getting a prospect emotionally involved via interaction is a hit. “Engaging a target audience” is an important excerpt from Content Marketing Institute’s definition of content marketing. According to nearly every marketing research study, it’s also consistently proven to be amongst our toughest challenges. Marketers succeed when their audience not only consumes content, but also enjoys and acts upon it. Understanding this principle, more and more content marketers are stepping-up their static content to create content customers can interact with. ~ Scott Brinker, ion interactive, author of ChiefMartec.com, in a guest post on Copyblogger. Your classic content marketer is adept at publishing a blog and other forms of one-way media. Creating interactive content is more work. It tends to demand more resources. Noise—There’s simply too much content. And the only people that really care about content is content marketers. The customers don’t want content. They want answers. Or they want to have fun. Or both. The world’s gone mobile—Mobile users have come to expect interactivity. Apps are more engaging than web pages. Human nature—We simply want to interact. We learn best by doing. I once asked my kids, “What are your favorite lessons in school?” They said the ones where we do stuff and make things. Interactive content is the filed trip of content marketing. Much like the ubiquitous BuzzFeed, the company’s magnetic force is fun, interactive activities, which clearly appeals to the connected generation. In a very short time, Playbuzz has garnered enormous attention and become a top 500 destination site in the U.S. The company is making a business “play” by enabling marketers, for free, to create branded “storytelling formats for the digital age” and embed it anywhere. Playbuzz is among the companies who are amending the “content is king” mantra to “interactive content is king,” touting its many engagement advantages. In “Interactive Content & The Buyer’s Journey,” Oracle Marketing Cloud and SnapApp map interactive content’s place in three stages of the buyer’s journey. Awareness stage—A prospect in research mode is likely to engage in polls, self-assessments, and knowledge tests. Evaluation stage—When evaluating solutions a buyer will take to benchmark assessments, interactive white papers, and persona assessments. Decision stage—At the critical buying stage, ROI calculators, galleries, product pickers and surveys will help guide decision-making. To illustrate these ideas, the eBook authors offered the example of a person planning a vacation. Awareness stage—What type of vacation do I want? Evaluation stage—Where should I go? Decision stage—Who should I book with? 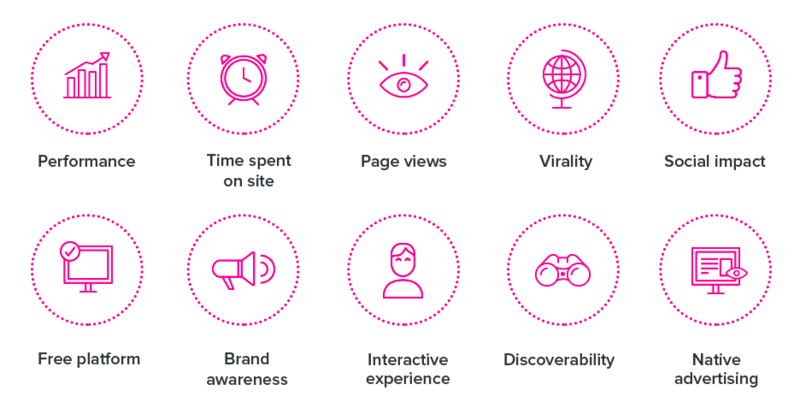 What types of content are interactive? Let’s look at some of the interactive content types, some of which are well known and blazing hot and a few others with a potentially strong upside. Quizzes are amazingly popular and ultra-magnetic. While many focus on delivering a fun distraction, businesses often take them seriously aiming to use the format for educational purposes. Quiz results can be useful for recommending the most relevant subsequent content. Quiz: Can You Name These Southern City Skylines? Ecommerce startup Country Outfitter has multiplied traffic to its site and engagement thanks to publishing fun quizzes with Playbuzz on their lifestyle website. 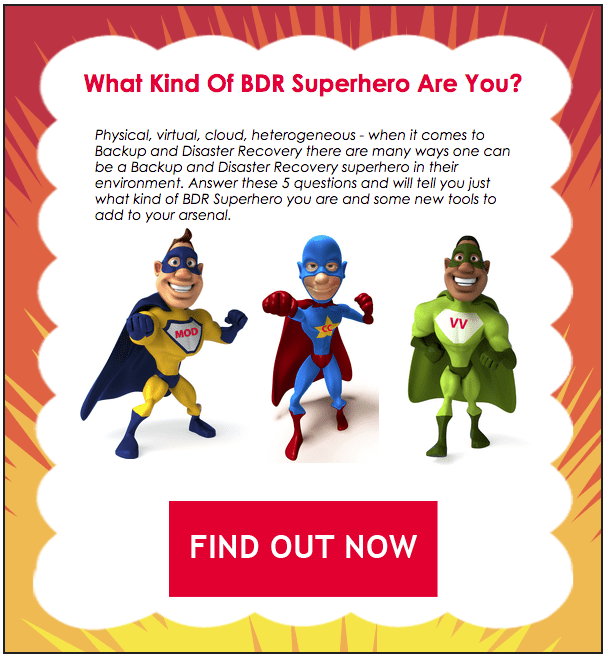 Their quizzes have appeared on more than 100 different domains. Like quizzes, assessments also are often little pieces of brain candy such as personality tests. However, in a business context assessments can be meaningful marketing tools often used to help people identify a need, compare their company to benchmarks, or some other type of self-diagnosis. Polls and surveys can take all different forms and fulfill a wide variety of needs for both the creator and user. The subject of the poll or survey gives users a glimpse into your areas of expertise. Calculators are about money, which for some reason appears to interest most people. Given the right strategy and creative execution, a calculator can say (or infer) something meaningful about your company’s mission. Contests may be older than time, but continue to evolve online and across the social sphere. The potential to get creative with contests is infinite. Cool contests have proven to lure customers and inspire engagement. Generally, they require some form of application, so marketers can collect valuable customer data. And though it may be obvious, contests can generate authentic and engaging user-generated content. SnapApp claims “They [brackets] are a great way to settle ‘Best Of’ or ‘Worst Of’ debates, no matter what industry or field you are in.” They’re also a way to earn longer periods of engagement, drive repeat visitors and generate new content. 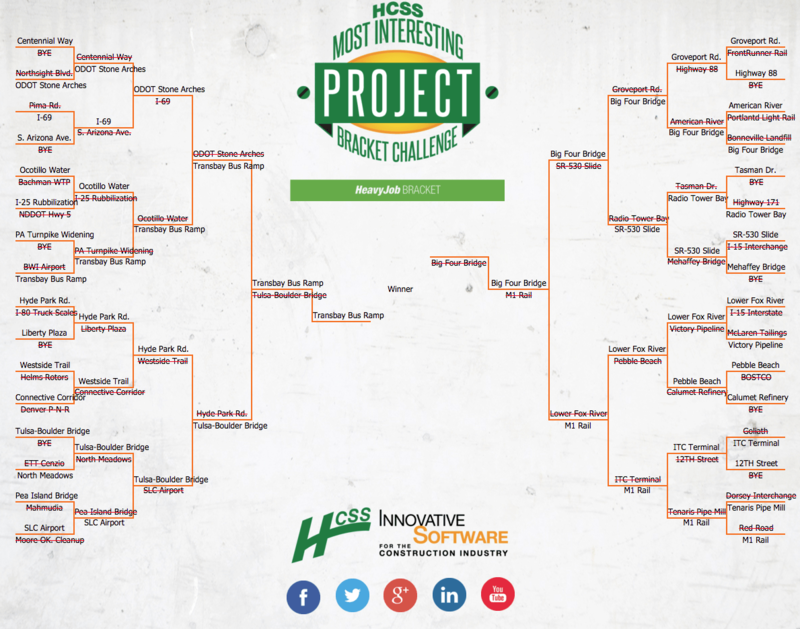 Heavy Construction Systems Specialists (HCSS) conducted a tournament in which customers submitted their most interesting projects. 117 projects were submitted and 292,000 votes increased website traffic by 800%. Interactive software company ion interactive suggests turning your white paper or eBook into an interactive user experience allowing readers to navigate as they wish. Infographics can be made interactive with embedded questions, flip tiles, flexible user paths, and more. 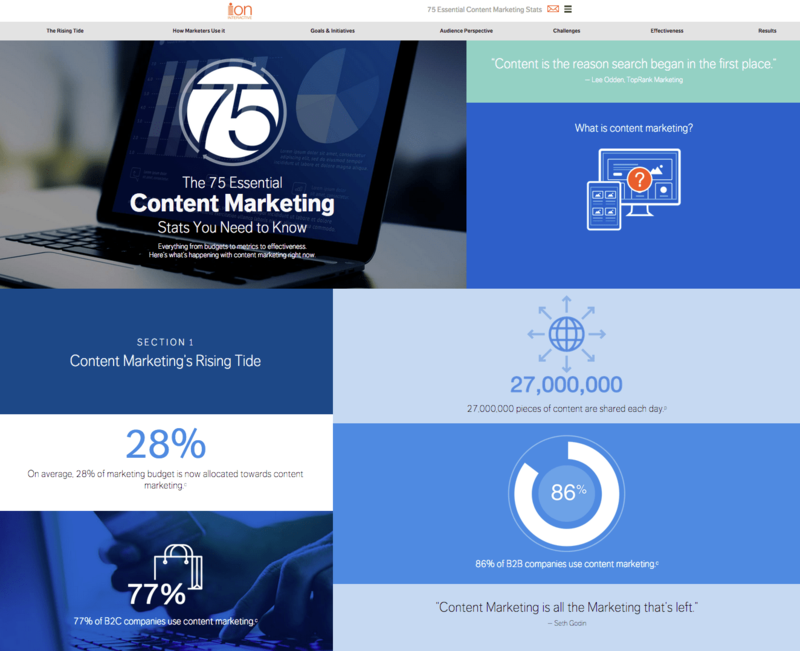 <center<ion interactive showcases its own software for creating interactive infographics. A menu bar invites readers to navigate the content marketing stats as they wish. What type of content marketer are you? After researching interactive content and learning more about the magnetic power of quizzes and such, I couldn’t resist writing the subhead above. It begs to be a quiz. And as a content marketing vying for attention and engagement amongst the deafening noise, you’ll want to consider the question. 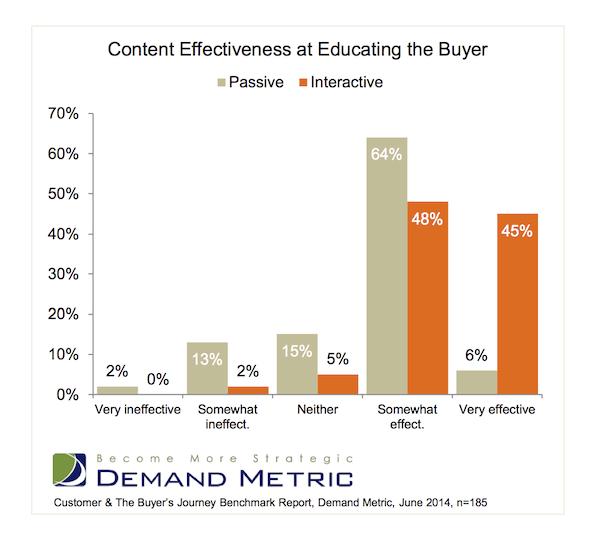 Interactive content offers an opportunity to differentiate your brand and engage your audience. Special nod to SnapApp for “What is Interactive Content & Why It Works” and for providing examples of their customers’ interactive content.